Gorakhpur: Uttar Pradesh chief Minister Yogi Aditya nath said today his government is making efforts to start the OPD services at AIIMS in Gorakhpur, his hometown, by March 2019. The foundation of AIIMS-Gorakhpur was laid by Prime Minister Narendra Modi in July 2016. 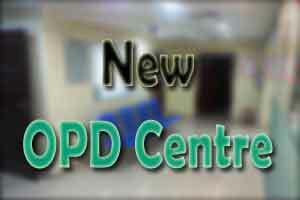 The Out Patient Department(OPD) services at the hospital was scheduled to start by September this year, but the Chief Minister said today that the government plans to start it by March next year. “It was a long-pending demand of the people of the area for better medical facilities in Purvanchal region and PM Modi gave this gift to east Uttar Pradesh We are trying to start AIIMS OPD by March 2019. All formalities related to the State Government has been completed,” Adityanath said. He said it is his government’s priority to start an Ayush block and other services at AIIMS-Gorakhpur in time. The Chief Minister said until last year, schools in the state were in poor condition as teachers largely did not attend classes. “I have seen many teachers knitting sweaters instead of teaching,” he said. “In 2017, 1.54 crore children were admitted to schools and in 2018 the number will increase to 1.64 crore. We have made 2,500 schools ideal schools,” Adityanath said. “Government Of India has declared 115 districts as most backward, among which eight are in Uttar Pradesh These Assistant teachers will be appointed there as it is the duty of teachers to motivate children for education,” he added. The teachers pledged to work towards cleanliness.